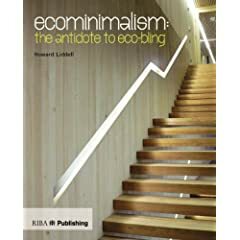 A great book which argues that careful integrated ecological design is necessary to build sustainable homes and critiques the rising use of technological fixes to ‘make a house eco’. This approach – careful design – can often also be cheaper. The book does much to dismiss many examples of inappropriate use of technology. Kennedy, J, F (2004) (Ed.) 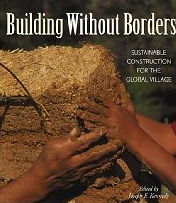 Building Without Borders: Sustainable Construction for the Global Village. New Society Publishers, Canada. This edited collection includes numerous examples from across the world of innovative, often low cost, green building. The book takes it remit as ‘housing the homeless without destroying natural habitats’ by exploring local traditions, how environmental building ideas have travelled, and the need for resident participation in design. Its particular focus on vernacular (everyday) buildings and its concern for inclusion and the homeless means it has a great deal to say about low cost eco-housing. 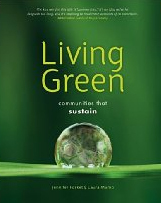 Fosket, J and Mamo, L (2009) Living Green: Communities that sustain. New Society Publishers, Canada. This book is packed full of examples I have not found elsewhere, with specific chapters on affordable housing and ‘greening grey’ it takes a more diverse approach as to who can live in green housing than I have seen in other books. Crucially, like all these books, it does not just mention examples, but critically reflects upon what has worked and what has not. Mostly examples from USA and Canada. Jones, B (2009) Building with Straw Bales: A practical guide for the UK and Ireland. Green Books, Devon. 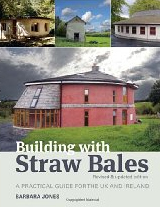 A excellent book about straw bale building in Britian. Written by the founder of amazonnails (the leading company for strawbale design in the UK) it is packed full of examples and although is very practical in its content, it includes a useful chapter about affordability.